Entertainment reporter Dean Richards reports Elton John and Billy Joel will not be appearing at Wrigley Field this summer after all. In an interview with Richards on WGN-TV and WGN-Radio, Elton says he is heartbroken that the show will not happen in July as rumored. He says the decision is Billy Joel’s, with Billy deciding to take the remainder of the 2010 off following their show together in Albany, NY March 11th. Elton John is producing the play “Billy Elliott” coming soon to Chicago and cites Chicago as one of his favorite cities in part due to his having become sober here. 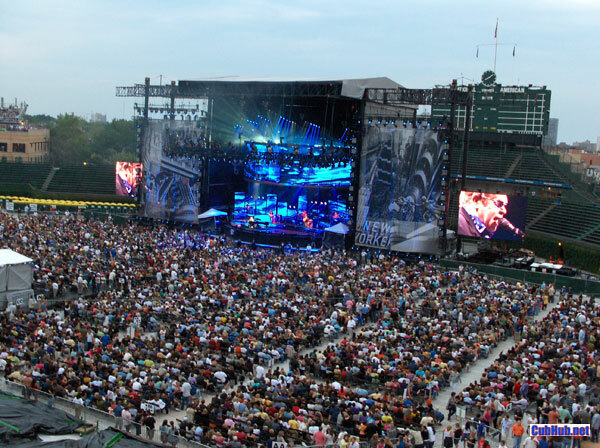 This development leaves the Wrigley Field Concert Series with no officially confirmed shows yet this year. Meet the first and only fan club in Brazil Elton John http://www.eltonjohnscorporation.com and http://twitter.com/eltonjohn_2010 photos, biography, videos, music, lyrics translated, news and much, much more.